Chess is universal and flexible game. It can played by everyone of all ages and it can also play anywhere, indoor and outdoor. To make it interesting game, chess is more enjoyable to play outside of home. To make it happen, you will need a table of chess and chess pieces. Chess table and pieces make an attractive garden feature and allow participants - from beginners to expert - to partake in different atmosphere of chess game. As chess manufacturer, we have provide wooden chess table and wooden chess pieces for you. 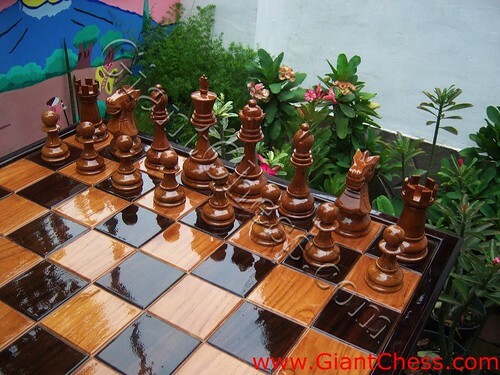 Those chess table and pieces have made of Teak wood, which is the famous of its strongest wood in the world. By use this kind of chess table for your game, then you can use it outdoors; at your garden, at yard, at beach, or at the other outdoors area.